Software on the client calls the function fn(). The parameters and pass-by-reference data are packed into an SMB Transaction and sent to the server. 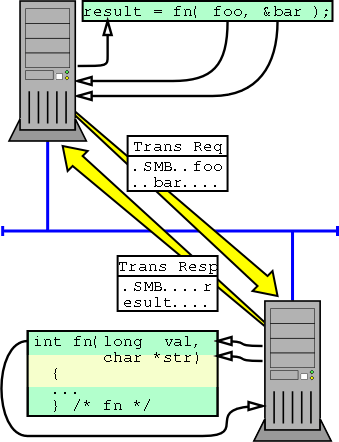 The server processes the function call. If results are expected, the server packs the return value(s) and any pass-by-reference data into a reply transaction.